We offer asbestos testing services throughout Sydney and surrounding suburbs. Asbestos can turn up in some very unexpected places. Did you know that certain kinds of linoleum floor coverings had an asbestos-lined backing? You could be exposed doing something as simple as lifting up the lino to replace it, or repair the floor. The worst part is, there is no way to tell if a material contains asbestos just by looking at it. Safety experts tell us to assume that any material bought or used before 1990 should be assumed to contain asbestos, unless you know for certain that it does not. The best way to be certain whether your building contains asbestos or not is to have a company like VIP Asbestos Removal Sydney do a site inspection and submit samples taken from the building for professional laboratory testing. This asbestos testing process involves looking for the distinctive long, crystalline fibres of asbestos with two different types of microscopes. It is important to remember never to attempt to identify yourself using DIY asbestos testing kits. We DO NOT recommend this method. The process could be dangerous, and without taking very stringent safety procedures, you could easily be exposed. When we send an inspector, we will first endure that all air conditioning, fans and ventilation to the room is shut off, and have you clear the room of everyone b the testing crew before we begin. If the building being tested is a home, it may be wiser to leave entirely. Testers must wear full protective gear, including a breathing apparatus with an approved HEPA filter. Plastic sheeting is usually laid down to capture any dust created during testing. The area to be sampled will be wetted down if possible to further reduce and capture dust before it gets into the air. A small sample of fibres will be removed from the material using a sampling tool. The sample itself is sealed away, and taken for testing. After a sample is removed, we’ll seal up the tested area as appropriate to make sure there can be no new contamination until we know whether asbestos is actually present. At all times, we treat the material as dangerous until we absolutely know it is not. We will then have the samples testing at our partner NATA (National Association of Testing Authorities, Australia) accredited lab. All results are 100% accurate. 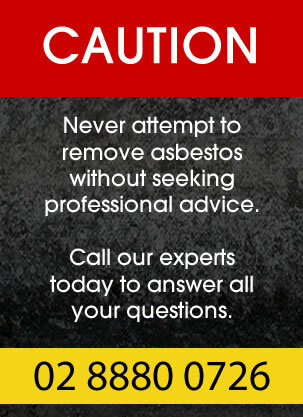 If you suspect asbestos on your property then get in touch with our friendly team today. We offer fast and affordable quotes and quality advice.